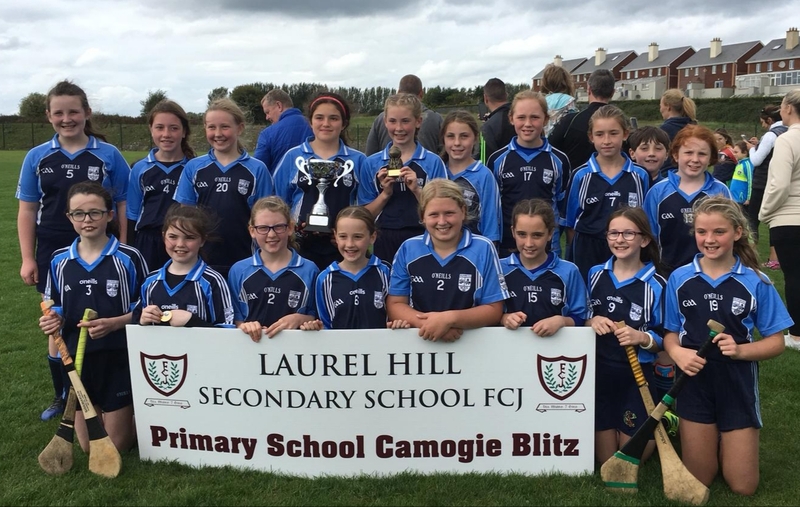 Congratulations to the Milford NS U13 camogie girls who won the Laurel Hill Secondary School FCJ ‘A’ camogie blitz on Saturday 15th September ’18 in Na Piarsaigh GAA Grounds. 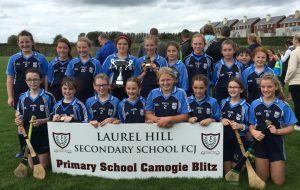 Primary schools from all around Limerick city and county competed in the blitz organised by Laurel Hill Secondary School FCJ . Milford NS girls topped their group by defeating Crecora , Monaleen and Gaelscoil Raheen schools. They defeated Caherelly NS in the semi-final and continued on their winning ways by defeating Adare GNS in a very close final. Milford captain Isabella (Bella) proudly accepted the cup on behalf of her team from Limerick Senior camogie player Sarah Carey. Milford player Ellie was awarded ‘Player of the Tournament’. Many thanks to all the parents for their great support on the day and also to their coaches Ms Newman & Ms Moloney for preparing the team for the competition. A great day was had by all!